This post has been sponsored by Tom’s of Maine Whole Care®. All thoughts and opinions are my own. I’m always the most tired from 3pm until when-the-kids-go-to-bed o’clock. After powering through the morning with productivity, the wall hits me in the afternoon. Putting my head on my desk and taking a quick nap is suddenly very appealing. Nope, no such luck! My second shift starts when the kids get home. Three o’clock means it’s time for ferrying three kids to practices, nagging about homework, and making dinner. It’s exhausting. I’ve tried pushing through with coffee or diet soda, but then I don’t sleep, which leaves me more tired and even more cranky. Not a good cycle. And taking a nap isn’t an option (bummer). 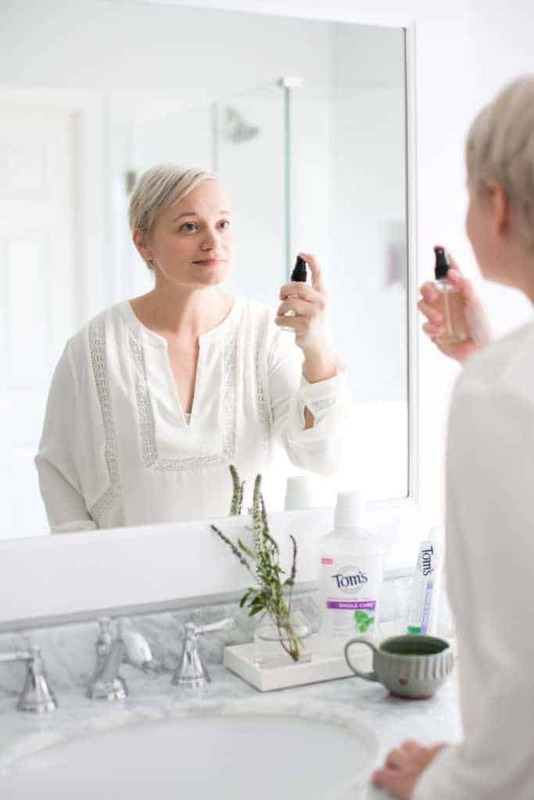 We’ve partnered with Tom’s of Maine®, available at Target, to share an afternoon self-care routine to fight the inevitable energy slump. First, eat lunch. It’s easy to rush through lunch at your desk. Or even fail to eat lunch. That’s an energy no-no. One of my biggest aha’s from my nutrition sessions with Stephanie Rome was that lunch should be substantial enough to get you through the afternoon. 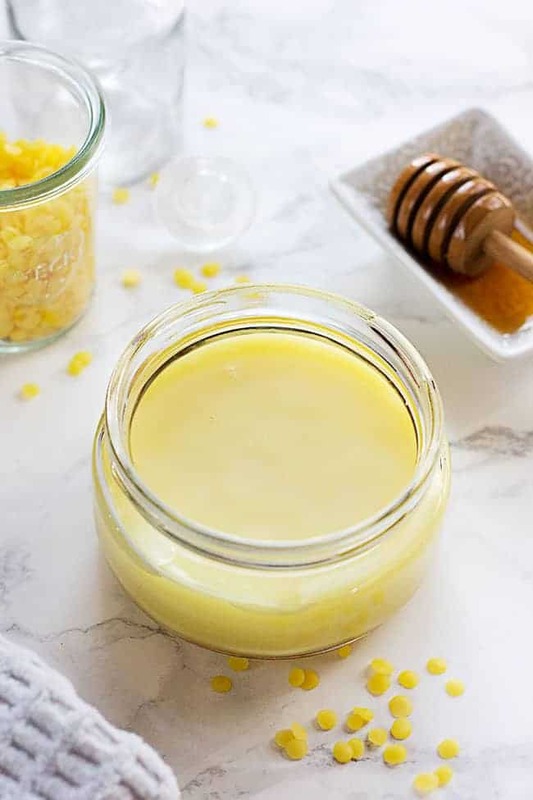 I always had major sweet tooth cravings in the afternoon and would completely crash and burn my healthy eating with a ‘snack.’ A balanced lunch with good fats and protein will help keep your blood sugar steady through the afternoon. 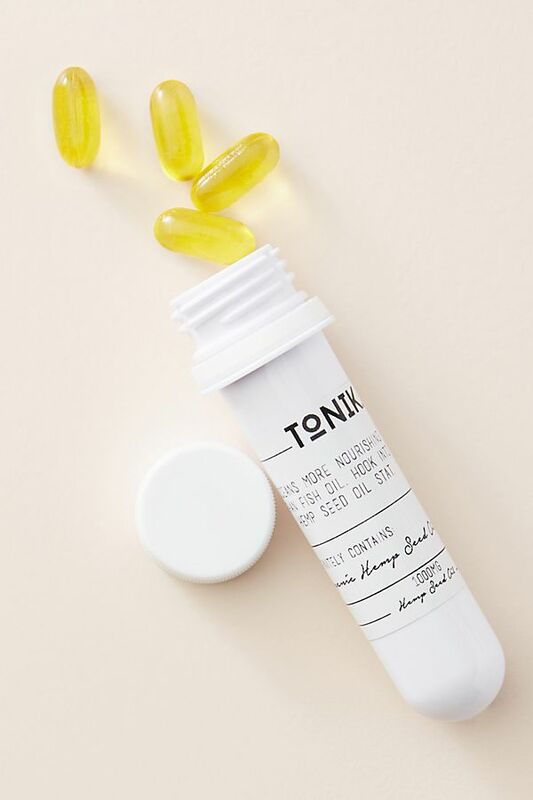 That, in turn, keeps your energy steady – no more ups and downs from relying on sugar. After spending the morning on the computer, I’m ready to stand up and stretch in the afternoon. 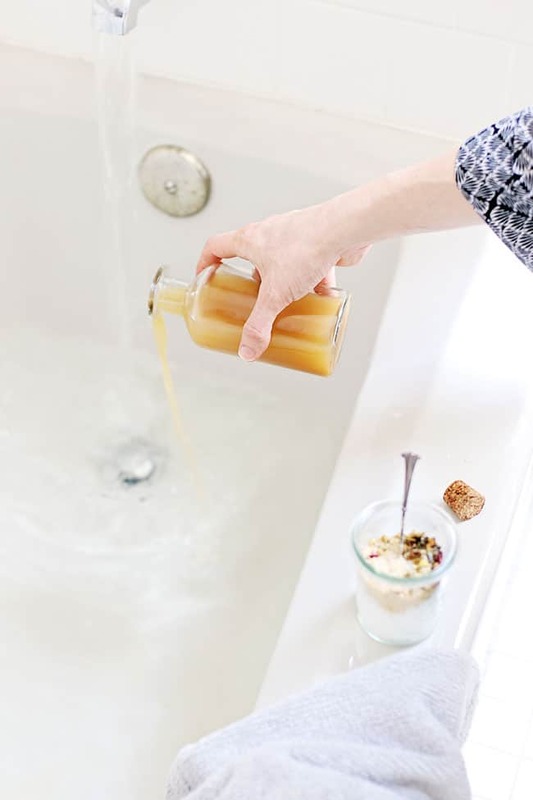 And if I’ve been drinking water like I should, trips to the bathroom qualify as ‘mini breaks.’ And then before the kids get home I have a 5-minute afternoon bathroom routine that combines self-care with an energy boost. We spend a lot of time choosing healthy foods, but what goes on our bodies is just as important! 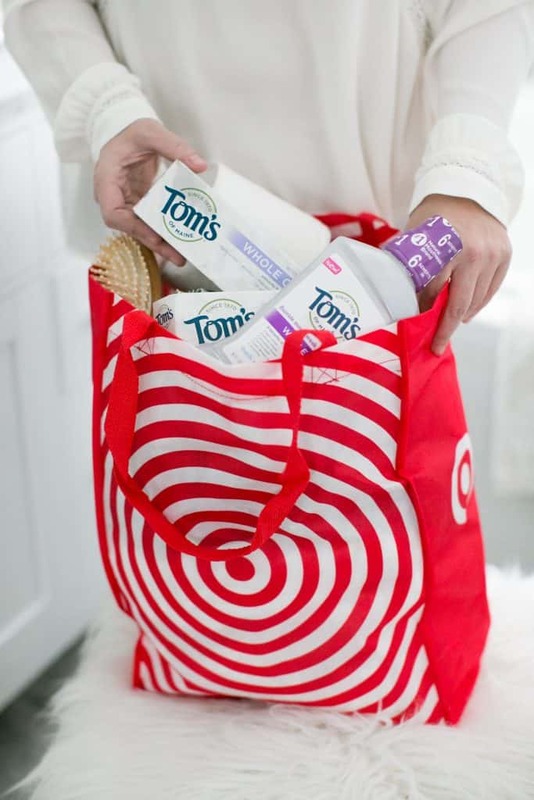 One of my goals for 2018 is to detox our bathroom, and Target has so many natural brands now, including Tom’s of Maine®. Drinking tea is my new ritual to replace coffee and snacking. It’s still warming and cozying, but with less caffeine and less dehydration. 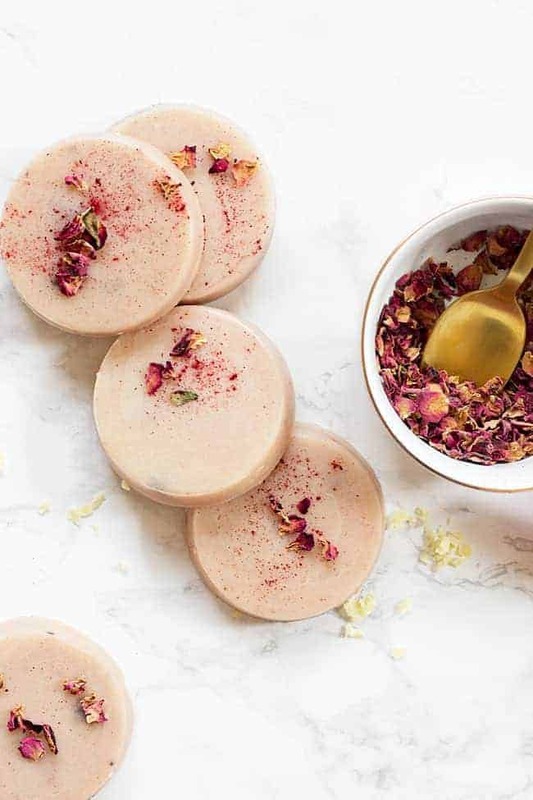 Bonus: tea contains l-theanine, which has a number of calming health benefits, including improving attention in people with high anxiety (raises hand!) and reducing mental and physical stress. To get the most theanine, drink matcha or black tea. We redid our bathroom last year, and the new bright space makes me so happy. The bathroom isn’t huge and doesn’t get a ton of light, so we used white tile so it wouldn’t feel dark and small. Our shower still faces a window (yikes) so I’m constantly opening and closing the blinds, ha! Sunlight is a great way to refresh your energy so open those blinds or the whole window to let the sunlight and fresh air in. 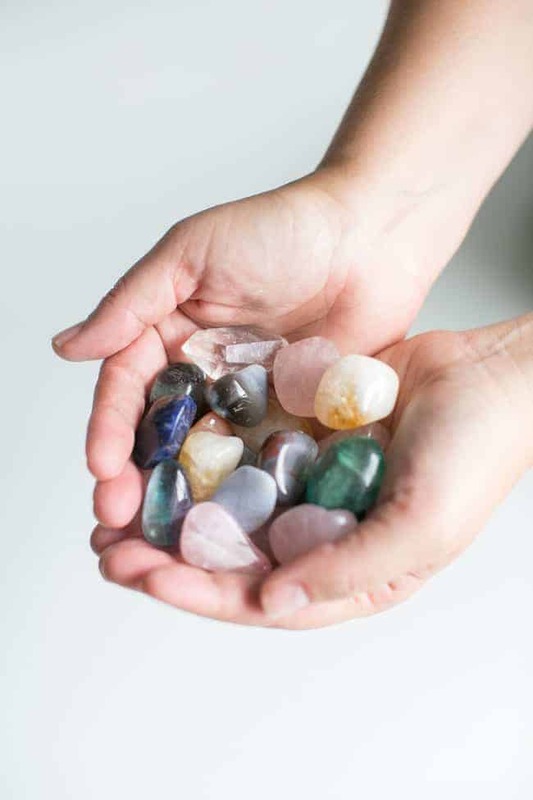 Completing a task that makes you feel organized is a great energy booster. Some might clean off their desk or empty the dishwasher. After my tea, I like to brush my teeth. No, really, I love brushing my teeth. It makes me feel clean and refreshed. 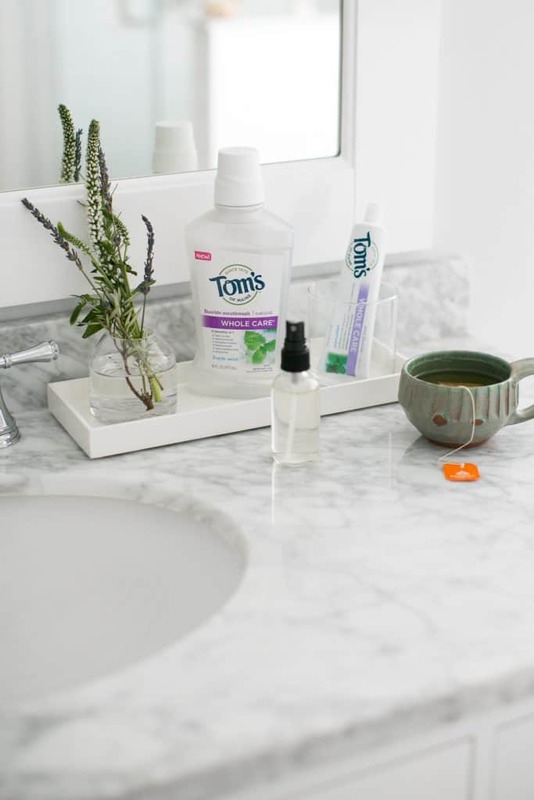 I’ve become a big fan of the Tom’s of Maine Whole Care® Natural Toothpaste because it whitens by using naturally derived silicas to remove surface stains from coffee, wine, etc. My kids are adamant that they will only use strawberry Tom’s of Maine® so I stock up at Target when I get the chance. No cavities for me or the kids, so it must be working! The afternoon brushing ritual is a simple, easy act of self-care. 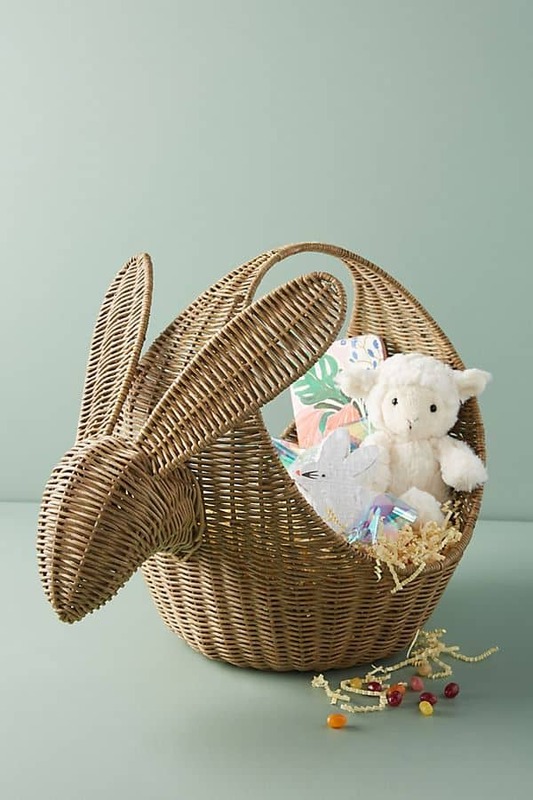 Plus you’re getting no artificial colors, flavors, fragrances or preservatives. Finishing with alcohol-free Whole Care® Mouthwash is a fresh breath lifesaver. The zingy taste fights cavities and strengthens enamel, but doesn’t burn. Splashing your face with water will wake you up – and ruin your hair. A simple face spray works just as well. Combine essential oils like lemon, rosemary and spearmint that improve focus and boost energy with a hydrosol like rose water or (my favorite) orange blossom water. 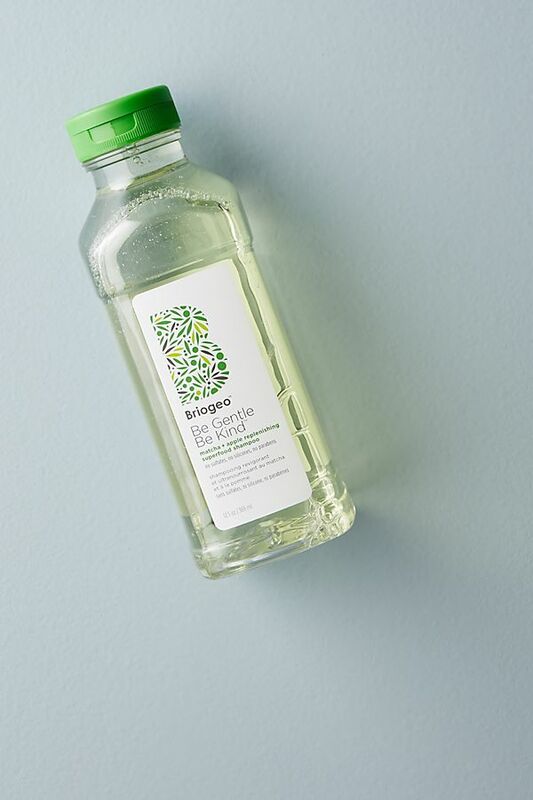 Spritz to wake up your face, hydrate your skin and energize your afternoon. Mix all together in a 2 ounce fine mist spray bottle. 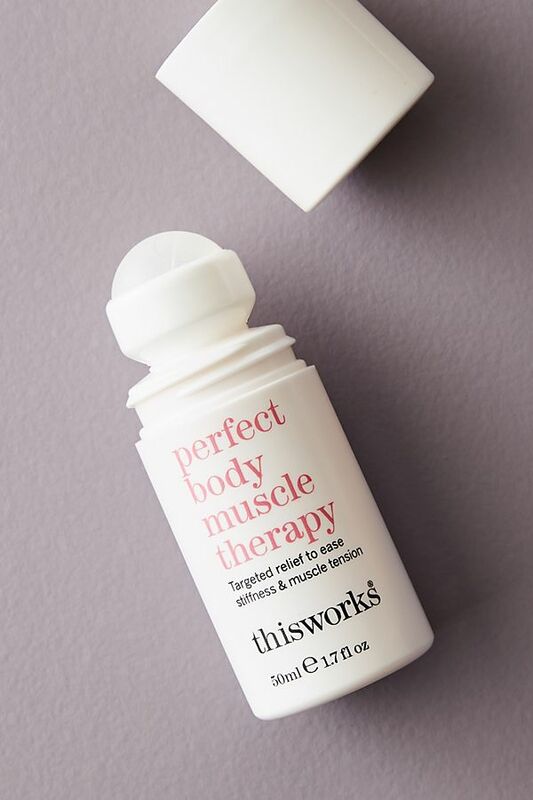 Shake well before use and spritz your face (close your eyes). Use to help wake yourself up in the morning or when you need to combat the afternoon coffee crash. Staring at a screen can zap your energy in a hurry. Not just computers, but your phone! Mindlessly scrolling through Instagram sound familiar? I have a tiny Twitter habit and had to give myself reading time limits. I’ve found that taking a work break to read my phone leaves me more tired and more unmotivated than before. So no checking email or Twitter during this self care ritual. While I’m in the bathroom spritzing my face and brushing my teeth, I play my favorite tunes. No one has to hear me sing or see me dance but the combination of music and exercise is fun and invigorating. Seriously, dancing for a whole three minute song is a workout! What do you do for an afternoon energy boost? How do you incorporate self care? 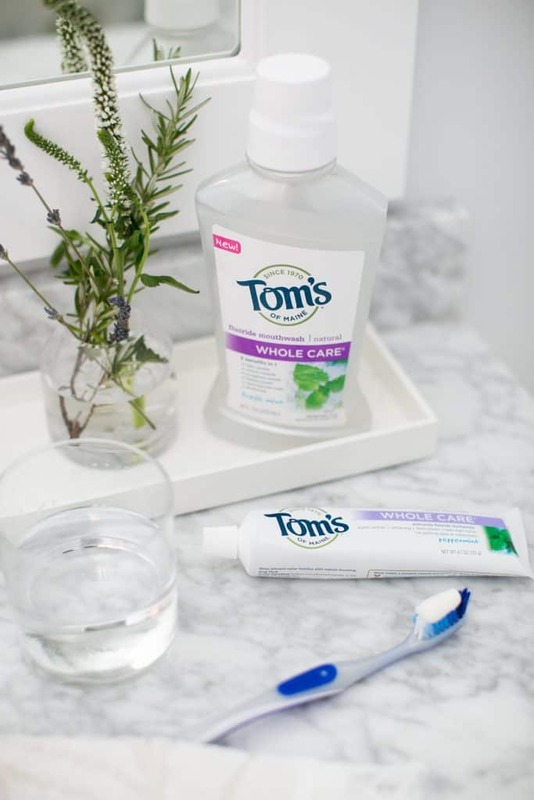 Tom’s of Maine® is offering readers a discount on Whole Care® Natural Toothpaste and Whole Care® Mouthwash on the Cartwheel app. 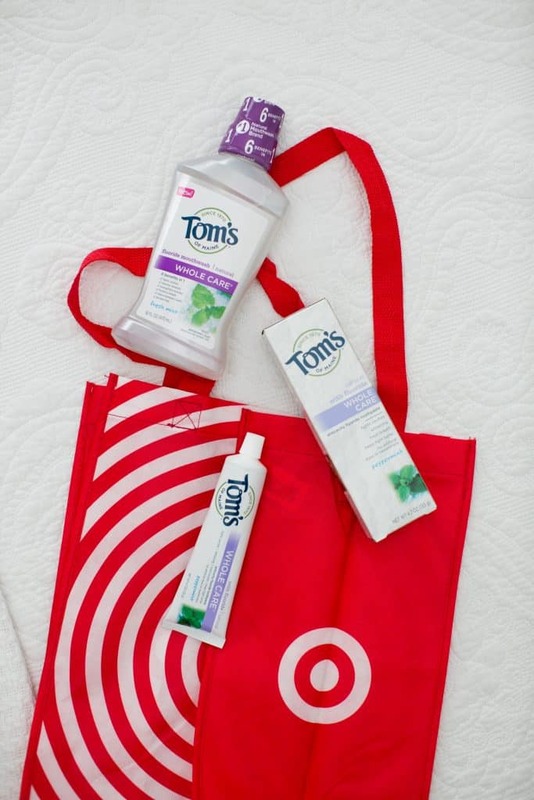 Find both products in the oral care aisle at Target and learn more here.